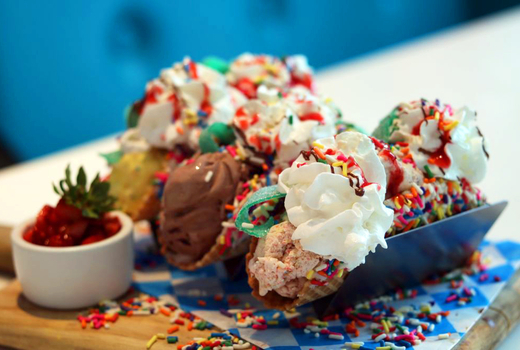 Hailed as the "Home of Candy Colored Dreams" by The New York Times, the restaurant at Dylan's Candy Bar offers delectable entrees, fantastic cocktails, and New York City's most Instagrammable desserts. Grab this $49 pulse (an $85 value) for a magical dinner for two, that includes 2 Entrees, 1 Dessert, and 2 Candy Cocktails or 1 Goblet. 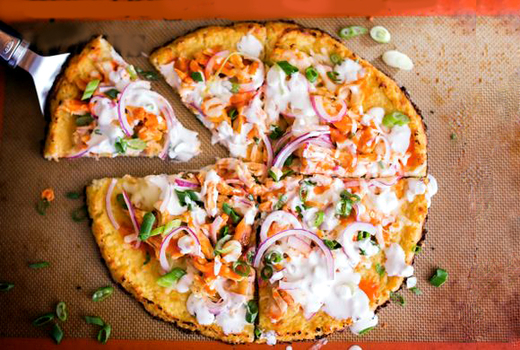 Upscale American fare such as the Mega Burger (by Pat LaFrieda) and the Roasted Veggies Flatbread are pure pleasure for your palate - and that's before we even talk desserts. May we suggest the Demolition Cookie Derby Sundae (cookie mess ice cream, cookie dough bites, hot caramel fudge, chocolate chip cookie, whipped cream)! 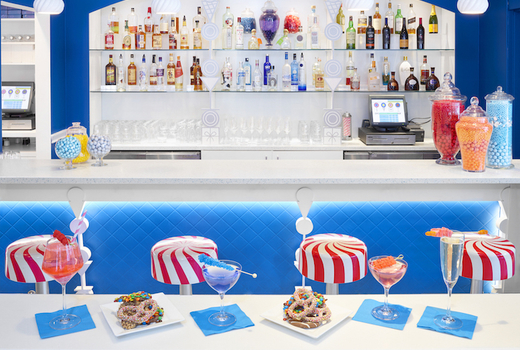 Last but not least, an array of candy-inspired cocktails will put you on cloud 9. Try the Pop Rocks Explosion: a sophisticated concoction of gin, elderflower liqueur & hibiscus, and garnished with the namesake candy. Fun-loving celebs abound around the kaleidoscopic space, so keep your eyes open; you never know when Salma Hayek or Amanda Seyfried may pop in to get their fix! 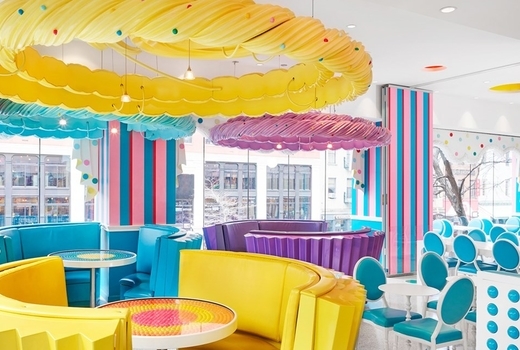 Dylan's Candy Cafe & Bar is the iconic flagship location of Dylan Lauren's buoyant and whimsical sweets empire. The dazzling, 3-story space brings out the joy in everyone through its delicious candies, chocolates, cocktails and other surprising concoctions. That playful spirit is evoked in the restaurant's scrumptious dinner menu, with American favorites like the Philly Cheesesteak (steak, cheddar cheese, brioche) and the Chicken Quesadilla topped with sour cream & guacamole. Of course, you come to Dylan's for a sweet treat. 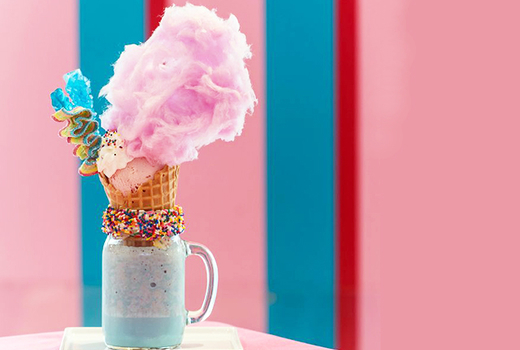 The Best of Both Worlds is a milkshake crowned with a waffle cone and a choice of myriad creative toppings, like Carnival (2 different ice creams & cotton candy clouds) and Brownie Fudge (vanilla ice cream, brownies, hot fudge, cherry, whipped cream). 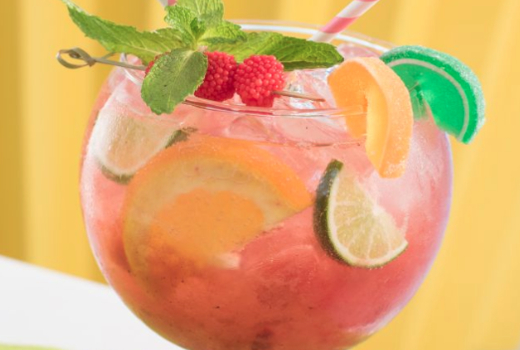 For cocktails, try the fishbowl sized Berry Sparkler (cassis, Absolut, muddled rasbperries, Prosecco, gummies, rock candy swizzle) to share. An Instagram gold that tastes even better than it looks! All selections will be made from the restaurant's full dinner menu and drinks menu. 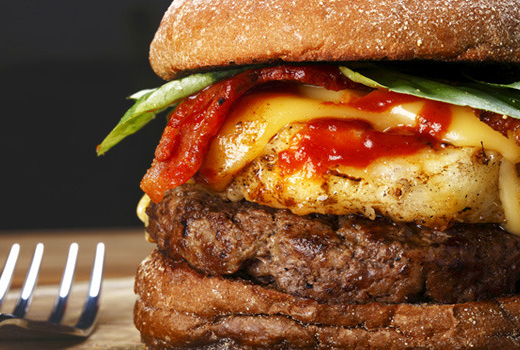 2 Entrees (Burgers, Sandwiches, Flatbreads, or Greens; up to a $17 value each). 2 Candy Cocktails or 1 Goblet (up to a $35 value total). "I was with a friend, we had a deal from pulsd...Honestly I was having a hard time choosing between all the desserts. I'm going again as soon as my friends visit me so I can take them." "Very cute and welcoming. Onion rings were crunchy, greasy and delicious. The Best of Both Worlds sounds over the top, somehow you discover someone ate the entire thing! For dessert (don't judge me), I had the Nutella chocolate chip cookie s'mores. Pretty, pretty, pretty good!" "Atmosphere: Like Charlie and the Chocolate factor, but better! 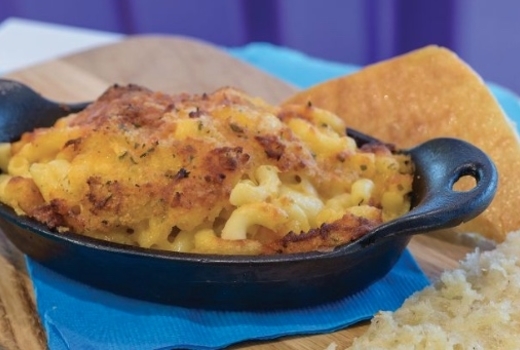 Food: Well, it's sickening...sickeningly good." "I was so blown away with how happy and fun it was. The best part-the candy cocktails at the bar. There's a sour patch kids margarita!"